1. First, fill out your IBAN. 2. 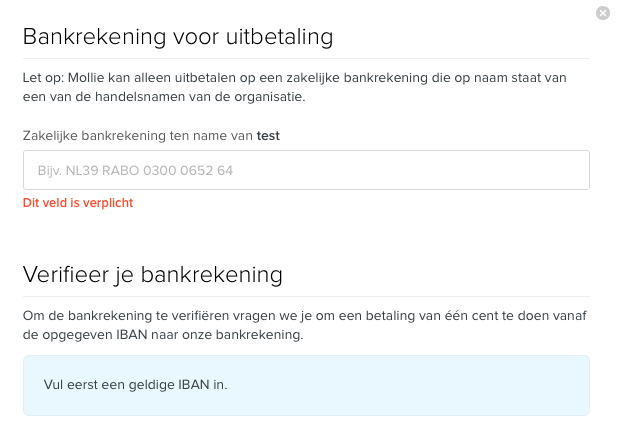 After you have filled out your IBAN, choose how you would like to verify the account. 3. Follow the further instructions to complete the payment. 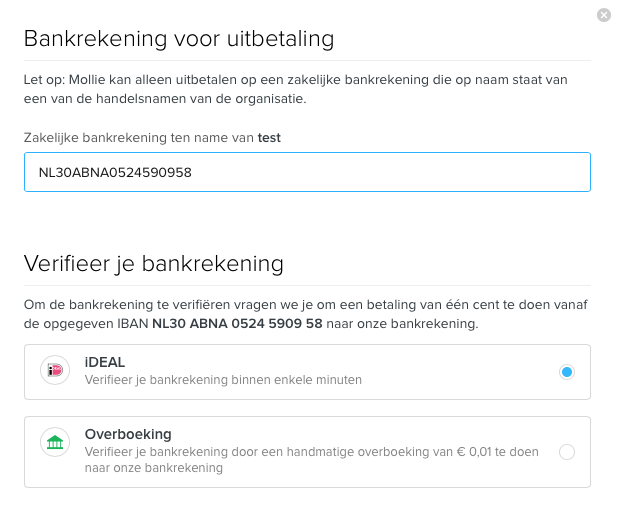 Is your account is already active and would you like to add a new bank account? In that case, go to the bank accounts page of your account. Here you will find a possibility for adding a new bank account. Please bear in mind that we can only pay out into one bank account.